1) Need a Sound Guy for your Band Gig, Church Event, or School Play/Performance? Give Joey a Yell! 04/01/16 - Joey has been hired once again by St. James High School in Murrells Inlet, SC to be their sound technician for their upcoming production of Legally Blonde! 09/26/15 - Hired by Socastee High School in Myrtle Beach, SC to be their sound technician for their Show Choirs Showcase! 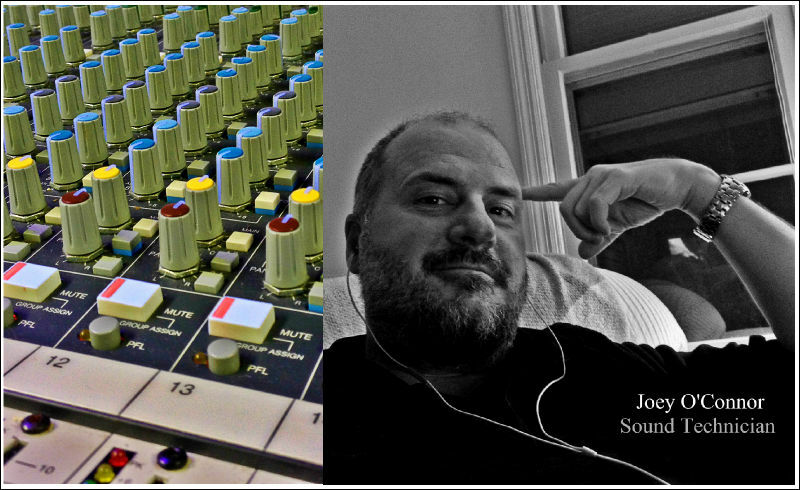 04/18/15 - Hired by St. James High School in Murrells Inlet, SC to be their sound technician for their performance of FootLoose! --- Most Schools and Churches Receive a Substantial Discount As It Is Joey's Way of Helping The Community and Giving Back! 2) Need someone to come by your house to help you with your surround-sound system? Give Joey a Yell! 3) Need someone to help you record your own music? Give Joey a Yell! 10/09/15 : Joey has just uploaded a new Proper Microphone Placement diagram.